Professor Peter Higgs developed the theory in his Edinburgh flat one weekend in the early 1960s, after a camping trip in the Highlands fell through. The theory, which postulates the existance of a subatomic particle that confers mass on quarks and leptons, was a revolution in particle physics. The Higgs boson particle was finally observed in 2012 at Cern and announced to great fanfare. Peter Higgs was awarded the Nobel Prize in Physics in 2013. 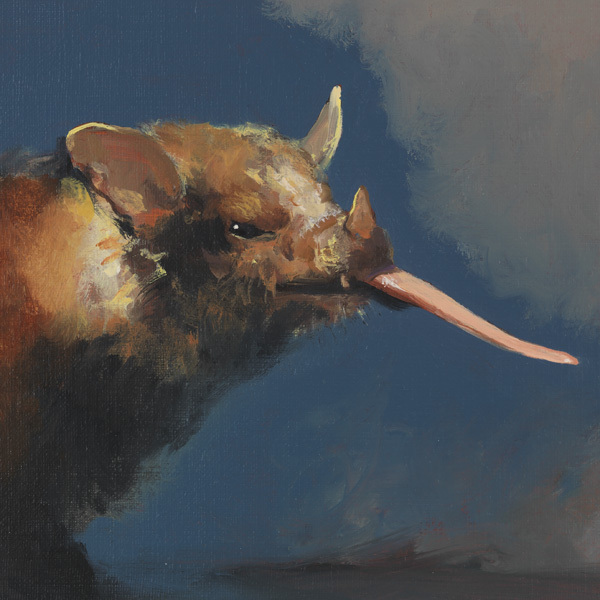 A portrait of Peter Higgs painted by Victoria Crowe, one of Scotland's leading contemporary painters, is currently on display at the Scottish National Portrait Gallery as part of the exhibition Victoria Crowe: Beyond Likeness. 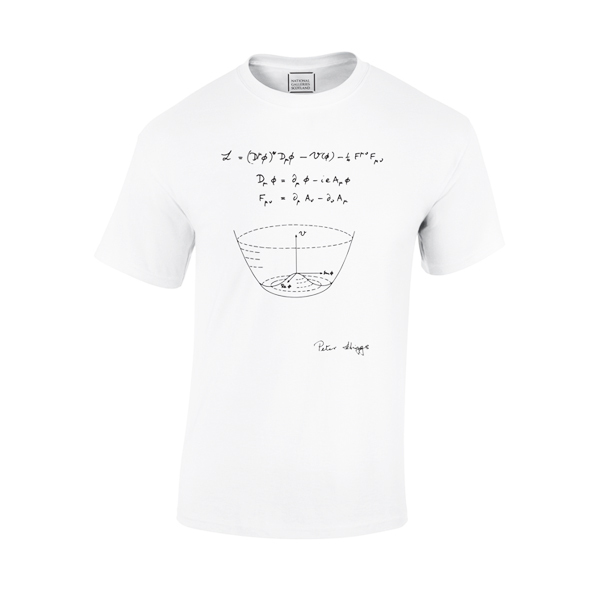 She asked Peter Higgs to draw his theory especially for the National Galleries of Scotland, for this exclusive T-shirt.